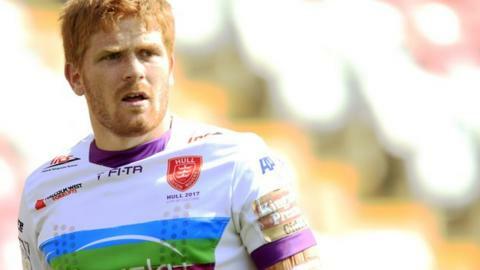 Hull KR centre Kris Welham is to leave the club at the end of the season. The 28-year-old has spent his whole career with the Robins, scoring 100 tries in 189 appearances after making his debut in 2006. This season he helped the club to the Challenge Cup final and retain their Super League status. "We offered Kris a deal a number of weeks ago and unfortunately we couldn't come to an agreement," coach Chris Chester told BBC Radio Humberside. "It's disappointing because I get on very well with Kris and I genuinely think that this has been one of his best seasons here. "There comes a time when you have got to move on and now is that time. He is a fantastic kid and I'm sure he's got a massive future in the game."